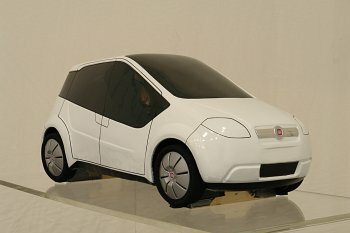 The closing evening of the Design the Italian Way competition took place on September 20, 2007 in the new Fiat Group Automobiles' Style Centre headquarters (Officina 83). Participants in this competition launched on November 30, 2006 came from eight of the world's leading design schools: Turin's European Institute of Design, the Design Faculty of Milan Polytechnic, Detroit College for Creative Studies, Coventry University of Art and Design, Tokyo Communications Arts, Moscow's Stroganov State University, Ahmedebad National Institute of Design (India) and the Umea University Institute of Design (Sweden). The idea for this award was a joint effort that involved not only Style Centre designers but also the Fiat, Lancia and Alfa Romeo brands and their respective Product, Engineering & Design and Human Resources management teams. The basic features to be incorporated in projects developed for each of the three brands were defined by the CEOs of Fiat, Lancia and Alfa Romeo, namely, Luca De Meo, Olivier François and Antonio Baravalle. The 200 students, of 12 different nationalities, who participated in the “Design the Italian Way” competition were divided into three groups – one for each brand – and in total they presented 100 projects. A winner for each brand was then chosen from designs submitted by each of the participating schools. In the majority of cases projects were the work of a 2/3-student team who were represented by one member at the final evening. All of them will participate in a Fiat Group Automobiles programme providing hands-on experience, thanks to a study grant covering five months in the Fiat, Lancia and Alfa Romeo Style Centres. A training period that will specifically focus on developing Product Communication and Style Development skills. During the closing evening the jury comprising experts from the design field, fashion world, architects and specialised journalists singled out six works from the 24 project finalists that were given special mentions. The awards covered the Best Italian Design for the Fiat, Lancia and Alfa Romeo brands; Best Innovative Material Use; Best Future Vision; Best Overall Communication. For the Fiat brand the briefing students received was to develop a concept for the future Panda and to create a family of models around the Grande Punto. They were also told to bear in mind items and products associated with these two cars that can create a new, strong and distinctive family feeling based on smiles, a friendly feeling, simplicity and dynamism, which are the hallmarks of this brand. 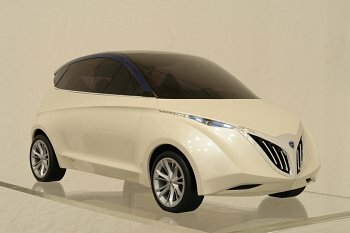 As regards Lancia, students were asked to reinterpret the brand's concepts of refinement, glamour and technology in an innovative key, developing two different concepts belonging to the same product family: a compact mainly for town use and a versatile, small-size MPV. In this case, there was to be a special focus on interiors to ensure maximum possible personalisation in line with current fashion trends. There were three concepts for Alfa Romeo: a 'large', versatile sports model; a flagship incorporating a new stylistic approach while still meeting the expectations of traditional customers; a 'small', zippy car, fun to drive and with an affordable price. As for interiors, the request was hi-tech devices, shapes and content. Sporty style and emotions are what differentiate the style of this brand. On the occasion of the final evening of “Design then Italian Way”, held in the new premises of the Fiat Group Automobiles' Style Centre, three separate areas were organised – one for each brand – with an exhibition of works by the 24 finalists. Jury members were able to talk with the young designers, review their projects and decide which deserved special mention. And so after the gala dinner there was an official prize-giving for the 24 winning entries followed by awards for the projects selected for a special mention. 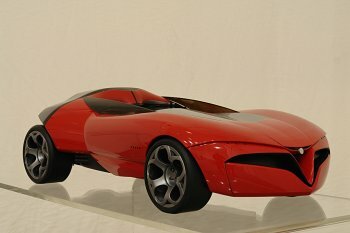 Best Italian Design for the Alfa Romeo brand, ex aequo: Alfa Romeo – Mahan Ghose – National Institute of Design (India) and Alfa Romeo Area – Carmelo Giannone – Istituto Europeo di Design (Italy). Here are the impressions of some of the designers at the Fiat Group Automobiles' Style Centre who were personally involved in organising this venture. Impressions as to how the various schools participated in the “Design the Italian Way” competition and came up with winning projects and how Italian style has been interpreted in the various countries. Detroit, one of the world's car capitals. Accompanied by students from the College for Creative Studies we visited the GM 'building' where American cars dating from the Fifties to the present day are on show. This gave us a chance to reflect on how US style has changed. Rear fins, extremely long convertibles, exaggerated streamlining, outlandish stylistic provocations and over-generous sizes are nothing more than a memory. Today, in fact, on the wave of greater penetration of Japanese models in the domestic market, the styling of American cars is much more subdued and sizes are much closer to what we are used to in Europe. During a short tour of the College for Creative Studies we discovered that youngsters study a lot of technology and computer use but, above all, they learn the creative and 'practical' aspects of working as designers, starting from building complete scale models in the College's fully equipped internal workshop. The results were way above average and taste and attention to proportions were in the best Alfa Romeo design tradition: windscreen moved back to obtain a large bonnet, high aerodynamic tail and other details guaranteeing a similar aesthetic effect – as we designers at the Alfa Romeo Style Centre say – a feline ready to spring. It was difficult to choose only one winner because all the projects were very well executed. An admirable approach to the task and care taken in realising the projects are the strengths of these young future designers, in a world where there is increasing pressure to work faster, but where working diligently is even more important. The welcome we received at the Ahmedebad National Institute of Design will certainly be impossible to forget. You could feel the passion and firm commitment with which the students tackled their work. Their in-depth analysis had fully captured the identity of our brands, with some unquestionably interesting results. Influenced by a culture taking its inspiration from 'decorativism', they produced some particularly elaborate objects, preferring formal as opposed to conceptual research. What struck me was how the students associated the Lancia brand with a gondola, an Italian icon representing superb craftsmanship, whereas Alfa Romeo was at times the aggressiveness of a cobra or the power of a tiger. Fiat, instead, was considered a brand where the most important features were colours and a fresh approach to shape and line. This institute runs courses in industrial design, fashion, architecture, cartoon animation: students use top-level technological tools with a laboratory equipped with latest-generation fast prototyping machines. The general level of the school is good, very close to that of its European counterparts, and students are highly motivated. We found great variety in design and formal terms, in the projects developed by students at the Tokyo Communication Arts school. The result of a continuous interaction between the youngsters' personalities and Italian design has led to very conceptual proposals focused on style. All projects were realised bearing in mind brand values and the fact that Lancia is not present in the Japanese market meant students were rather like 'pioneers' exploring uncharted territory. Very fluid, sinuous shapes are the hallmark of the projects, with graphics and lines that give the designs a very expressive harmony, sometimes intentionally provocative, but always bearing in mind technical and functional credibility. 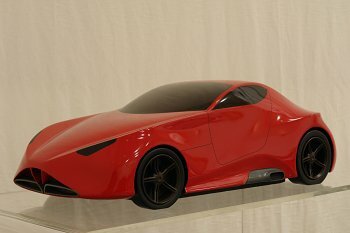 The work of Tokyo Communication Arts' students shows they have a considerable knowledge of the car design world, executing ideas and volumetric approaches of their projects in a very professional manner, while a great deal of attention has been given to surfaces. This has resulted in top quality models created by students divided into small groups who worked with passion and pride and adopted a professional, respectful attitude. For these two schools, interpreting Italian design is much less a run-of-the-mill task than it would seem. In fact, it isn't true that merely being Italian makes this task so much easier. But also, identifying the essence of Italian style from within is even more complex: so just like their foreign counterparts, students first had to undertake historical research and comparison of the various brands. From their research it emerged that the hallmarks of Italian design are, on the one hand, good taste, creativity, affability, joy of life, but also the 'physicality' that is an underlying trait of the national character in terms of passion and conviviality. In fact, we are a nation of people who look for and engage in contact, discussion and gesturing, traits not found in other countries. And design is evidence of this desire to communicate, contact and interact. Each of the two schools used their own individual approach and methods while performing this task. The Polytechnic conducted broad research based on an amazingly in-depth survey and capacity for analysis. They then came up with a stylistic idea based on their well-organised conceptual structure, expressing this in an attractive design perfectly in line with the theoretical content. Instead the youngsters at ED acted essentially on instinct, researching the historical and current industrial scene to come up with what best fitted their strong underlying stylistic intuition. They then worked towards formalising the initial idea, refining and sometimes completely changing it, but without ever losing the freshness of their original idea. So, diametrically opposite methods, although both yielding excellent results. Returning to a design university after having made design my profession was extremely gratifying. The students' strong desire to learn and express their ideas grows every year and the tools available to them today are a real help in allowing them to fully display their creative streak. Analysing the work of the British students I was amazed by the outstanding quality of their projects and I found it extremely interesting to follow these youngsters who have managed to maintain a high level of creativity and boundless enthusiasm, in strong contrast with their country's well-known, dismal climate. I was also curious to find out the British point of view as regards an Italian car: I was very happy to see that they demonstrated great professionalism in terms of respecting the brand's values while including their own personal touches. Exactly what we were looking for. In summary, Coventry has come up with fantastic projects and results that have opened up a new and interesting perspective. The visit to Umea University was an extremely interesting experience too. At first – it was mid-winter – the beauty of the University's location and interesting architecture give the impression it is just the right place to study design. All the students achieved extraordinary results. I was expecting Swedish design to be cold and essential; instead Italian design has been interpreted with Swedish passion and taste, but without conforming to national canons. The students have managed to present their ideas for each of the Italian brands in a unique way and the beauty of all this is the innovation and visible excitement found in each of their projects. Briefing young Russian designers was a very special experience. Moscow University is a huge complex with different laboratories dedicated to artistic disciplines, architecture and design. In specialist departments you can find a workstation where, for instance, a student is designing an ultra-modern high-speed train, sketching a side view freehand, still using geometric constructions we are no longer used to seeing today. We managed to stimulate a great deal of interest and debate, despite the evident difficulties of long intervals caused by having to translate from English into Russian. Well, often they made me feel like the leader of a team of associates, they even resembled my habitual ones! We dedicated quite a bit of time to recognisable brand values on which proposals were based and all students also had the right attitude in terms of tackling the communication and marketing strategy aspects for the products. 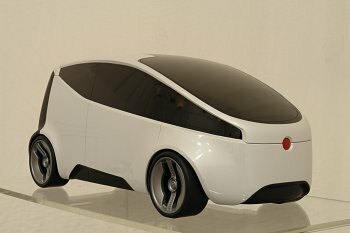 From the design standpoint, the Moscow students' ability to imagine our brands' vehicles projected into the future came about by breaking down past forms to come up with new and highly expressive ones. From these encounters what remains is the memory of an experience showing that talent can be found in the most unexpected places. And also how the diversity found in a city like Moscow is a stimulus that nourishes the imagination and the 'human' design school, which is always the result of getting to know each other and discussion.